You may have heard that we are closing or are currently closed, but that is not true. GSP Development is presently seeking approval to re-develop the property into a state-of-the-art medical office building. They are an independent developer and not affiliated with any local hospitals. If approved as proposed, the redevelopment will remain on the tax rolls. GSP Development is also currently working through the process of annexing the property into the Village of Winfield. 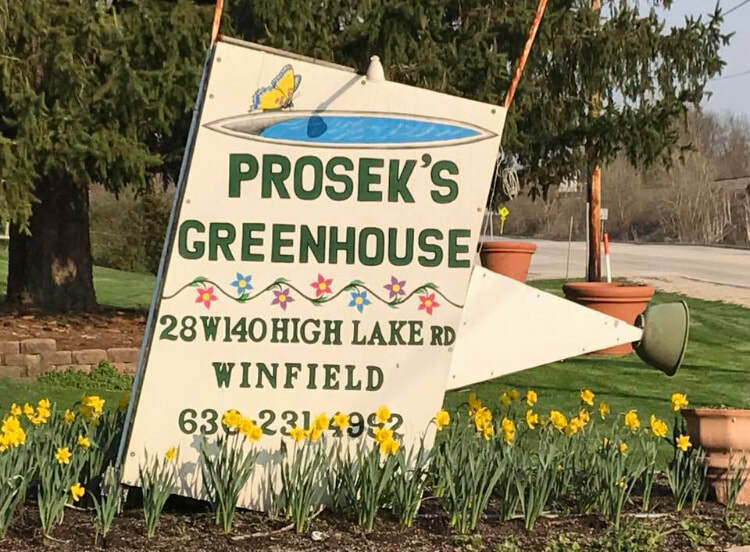 The Prosek’s Greenhouse property is currently located in unincorporated DuPage County not within, but adjacent to, the village’s limits. We have provided you with a link to GSP Development’s website if you are interested in learning more about their other projects. Please spread the word to your family and friends, that we are still here and open for the spring 2019 season! PANSIES HAVE BEEN MOVED TO THE OUTSIDE TABLES. STOP ON IN AND GET YOURS TODAY! Pictures from the Spring 2019 Season!